It was during one of those bad days that I became particularly discouraged. My therapist was referring to my tendency to spiral in the face of bad news; to pile on the negativity until it becomes an obsession that isn’t good for anyone. “Checking out” could cause some serious psycho-social damage, she implied. That advice is consistent with the popular concept that maintaining a positive attitude can play a critical role in alleviating illness. 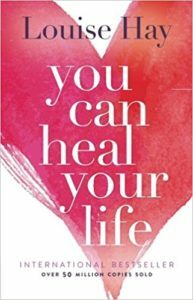 The idea took off big time in the 1980s with Louise Hay’s massive best-seller “You Can Heal Your Life,” in which the author documents how through positive affirmations and visualizations she cured herself of cancer. That line of thinking has been since debunked – significantly through a 30-year study following 60,000 people published in 2010. But the belief in a mind-body-healing connection continues. Is it backed up by science, though? A study published last week in the journal Nature Communications conducted at the Technion – Israel Institute of Technology suggests the answer may be yes. The researchers found that increasing the level of dopamine in the brains of tumor-bearing mice – thus boosting their positive emotions – reduced the size of their growths. When Ehrenreich was diagnosed with cancer herself, she ran into an almost unrelenting requirement to stay positive. “Cancer was the best thing that ever happened to me,” she quotes Lance Armstrong as saying. 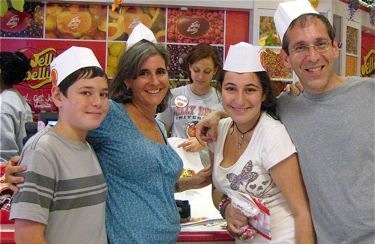 “Cancer had everything to do with how good the good parts of my life were,” writes NBC News correspondent Betty Rollin. 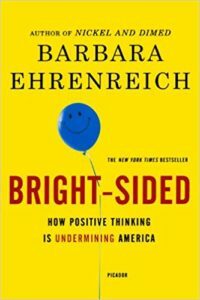 And, if positive thinking fails and the cancer spreads or eludes treatment, “the patient can only blame herself: she is not being positive enough,” Ehrenreich adds. It’s not just for cancer, either. “If your business fails or your job is eliminated, it must be because you didn’t try hard enough, didn’t believe firmly enough in the inevitability of your success,” Ehrenreich rails. The members of a Facebook group for people with follicular lymphoma (my cancer) are on the same page. “We need the opportunity to experience and express a full range of emotions without guilt and having to always be positive for others,” wrote one. “My husband was Mr. Positivity with his cancer. I am an Eeyore by nature – gloom and doom and grump. He died. I didn’t. So go figure,” posted another. That last line most aptly describes why I’ve been unwilling to claim my free pass. Cancer isn’t easy. It isn’t necessarily transformative. But continuing to show up, rain or shine, gain or pain, with a tired but true smile on my face, is without question better for me and, just as important, it’s better for my friends, family and coworkers when I present with some semblance of a recognizable self-identity. I don’t get to play the cancer card. The truth is, I don’t want to anymore. That justmight be the most positive outcome of this unexpected journey. I originally (didn’t) play the cancer card at The Jerusalem Post. Next post: Can Startup Nation save Israel from itself?